Balanced mood, better energy, and mental clarity — everything you need to start the school year off right with Balance Me! So many kids (and adults) struggle with mental clarity, focus, and staying calm. We know they need a natural solution to help them feel more balanced and calm…so Calm and Clarity was born! Calm and Clarity helps to promote even mood, better energy, and better mental clarity. It helps “high-needs” kids (and adults!) to feel calmer, think more clearly, and just all-around have a better time. Kids who struggle to pay attention in school may benefit from this! Calm and Clarity may also help with ADHD symptoms, like extra energy and trouble staying on task. Safe for kids with MTHFR, which is a huge issue for many families these days! We start with nourishing herbs that are high in natural vitamins and minerals, and include other herbs that specifically promote mental focus. This extract is made with palm-derived glycerin, and is alcohol-free, so it’s safe for all ages! Organic brahmi leaf, organic nettle leaf, organic dandelion root, organic turmeric root, organic catnip, organic alfalfa, organic palm-derived vegetable glycerin, and filtered water. The 1-oz. bottle will last 30 – 90 days with daily doses (per person). Shelf Life: 1 year. No known contraindications with these herbs in pregnancy, while breastfeeding, or in children. Talk to a health professional if you have any concerns before use. I am currently using my second bottle of Balance Me.. I bought it to try and help my autistic son to have better calm and focus and it has WORKED!! Every day isn’t perfect, as we all know, but it has made a tremendous difference!!!!! THANK YOU!!! 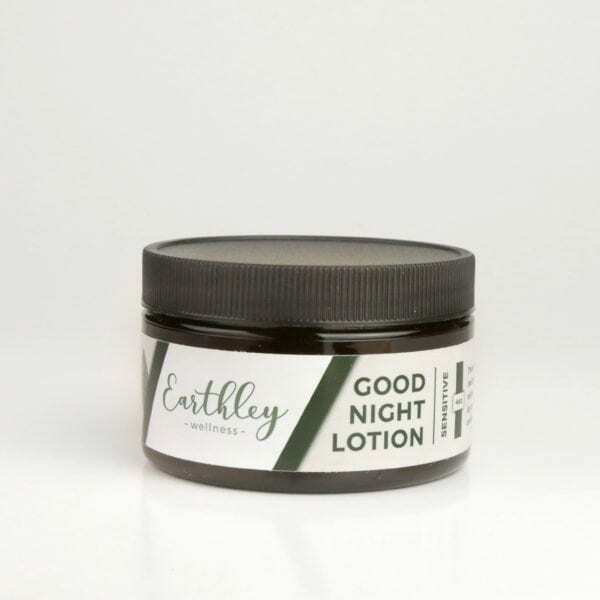 Hands down the best product I’ve bought from Earthley! My 6 year old is a very spirited, high energy child this helps him to concentrate and stay on task. His teacher even notices when he’s taken it in the mornings. He balks at the taste sometimes but if we cut it with a little water he doesn’t mind at all. Thanks for this product! Balance Me has been so amazing! I recently found out I have a MTHFR gene mutation and was so moody in the last 2 years since my youngest was born. I bought this a few months ago and it has made such a huge difference. I take whenever I start feeling off and it has done so much to help balance my days. I have really loved everything I’ve gotten from Earthley but this has been one that I have been the most grateful for these last few months. I bought this for my husband. He is 32 and works a job sitting in front of 3 computer screens and it’s so taxing that he had even started taking energy drinks trying to stay focused longer etc because of the level of intensity his job requires. He has started keeping this in his work bag and says he can’t even explain how good it makes him feel except that his mind is sharper and he’s thinking clearly and quickly without having the jitters and crash that comes with an energy drink. Now instead of coming home and crashing he actually is able to converse with me and play with our son which has been a delight. Thanks! We can’t wait to try more of your products. Got the Balance Me for my pre-teen, she says it taste good and has helped her focus in school more. I notice her emotions have been more stead than up and down. So happy I found this for her. So I have loved everything that I’ve tried from Earthley up to this point. My 4 year old is on the autism spectrum with lots of other challenges and I had high hopes for this product when I ordered it. However, after using it for a few weeks and not noticing any difference at all I thought maybe it just didn’t work on him specifically. I then started using it myself and only felt a slight difference, not enough of a noticeable difference to order it again though. I will say it taste amazing though! I’ve been using this for my 6 year old son and noticed immediate results. I’d like to start using it for the rest of my family. This has helped me so much with my memory and focus since my daughter was born. I am so grateful to find herbal remedies that actually work (I have tried a lot). I just started using this last week, nearly as soon as it arrived in the mail. I have Complex PTSD (PTSD on steroids is how I describe it). Between this and Lith-Oro (natural lithium), my triggers have greatly reduced – not saying I’m not getting triggered, but I can spot them and not go off on a trigger rant. This is amazing. I was putting my state of triggers on a scale. I was living at a 2 or 3 (1 – 10 scale, 10 being bad) and now I’m probably at a one and not going to 8 or above since starting this. I know its not just the Lith-Oro, as I was on that a few days before I received Balance Me. I’m very glad I decided to try this product. And I’m thrilled that it is working amazingly well for me. My 2 year old is considered a high needs kid and is always on edge. She’s very high energy and has a lot of trouble focusing her attention. We tend to walk on eggshells around her because her moods are very explosive at times. She is a completely new kid arter taking this tincture. She is so much calmer and happier, without acting “dopey” and without having to use anything scary or questionable. Family members noticed today how focused and happy she acts now, and my husband requested that I order the big bottle next time. We carry it absolutely everywhere now! Taste delicious! I suffer from severe anxiety and really want to stay clear from pharmaceuticals. I tried a bottle of this and didn’t notice a significant change. I’d love to give it another shot as I just order the smaller size and it went by quick. I did not notice much of a difference when taking this. Tastes great tho! I ordered this for my 5 year old grandson. He had difficulty with focusing on school and calming himself down. My daughter and son-in-law were aprehensive about this working but figured it was worth a try. I gave my grandson the recommended dosage for his age in the morning before his schooling. He is homeschooled! My son-in-law couldnt believe how well he did in school that day. They were able to get everything done that needed to be done. My son in law was super impressed. The next day I again gave my grandson the recommended dosage and he again did great in his school and was super polite and respectful. There is a definate difference when he takes these and when he does not. He is a smart inquisitive little boy who has trouble focusing. These drops allow him to stay calm and focus! Have a bottle at my house and one at his! Amazing product! This is my go-to throughout the day when my toddler gets the better of me. However, now, reading some of the reviews, I think I’ll give it to her! I didn’t even think of that!